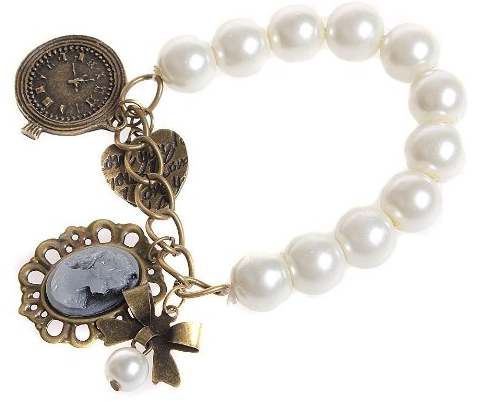 Pearl Charm Bracelet Only $3.24 Shipped! You are here: Home / Great Deals / Amazon Deals / Pearl Charm Bracelet Only $3.24 Shipped! Charm bracelets are making a big comeback and so are pearls. Right now you can get this Pearl Charm Bracelet for Only $3.24 Shipped! This makes any outfit have a classy and trendy touch! Get yours NOW!